Wilson, his blood running fast, sat back and thought. It was clear that the struggle over the image was a struggle for this treasure. Neither man knew of the existence of this map. The priest fought to preserve the idol because of its sacredness as guardian of what to him was doubtless a consecrated offering to the Sun God; Sorez, acquiring it with the tradition that the image held the secret, thought that with the psychic gift of the girl he had solved the riddle. No amount of cursed Aztec gold or fanatical pagan priests could stand between David Wilson and the girl. They had found each other in the cold of night in the middle of a storm, parted under duress, and he was bound to chase her to the ends of the earth. They were caught in a web of blood, riches, and betrayal, a web of revolution, murder, and sacrifice. The web … of the golden spider. Critical Press Media’s Data Vault Archives Edition contains a new introduction to the material by Winston Crutchfield. Frederick Orin Bartlett (1876-1945) also wrote under the pseudonym of William Carleton. 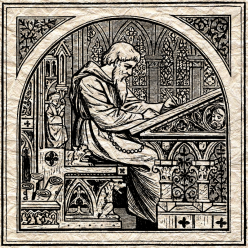 His first novel, Joan of the Alley, was praised for its careful preparation and the promise of future offerings from the same author. Bartlett’s subsequent novels were known for their attention to detail, melodrama, adventure, and romance. Several of them were adapted into feature films, including: The Seventh Noon, The Lion’s Den, and The Lady in the Library. His bibliography includes nearly a dozen novels, and a great many more short stories and articles. He was published consistently in The Saturday Evening Post and Red Book Magazine, among many others. 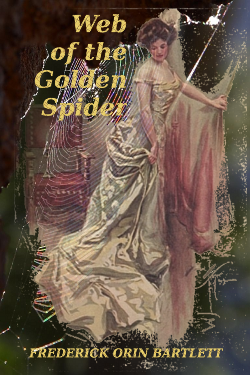 Support independent publishing and purchase a 260-page, perfect-bound paperback copy of Web of the Golden Spider from Lulu, or download the complete ebook for free!